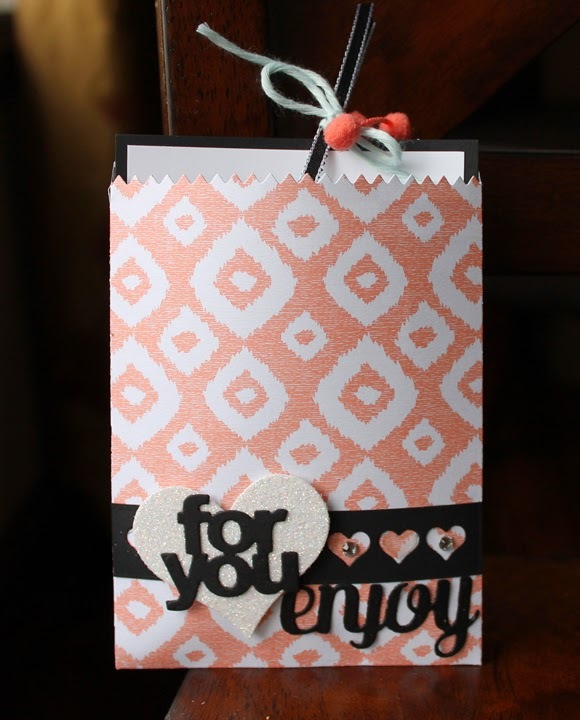 Sherry"s Stamped Treasures: Mini Treat Bag Thinlit by Stampin' Up! 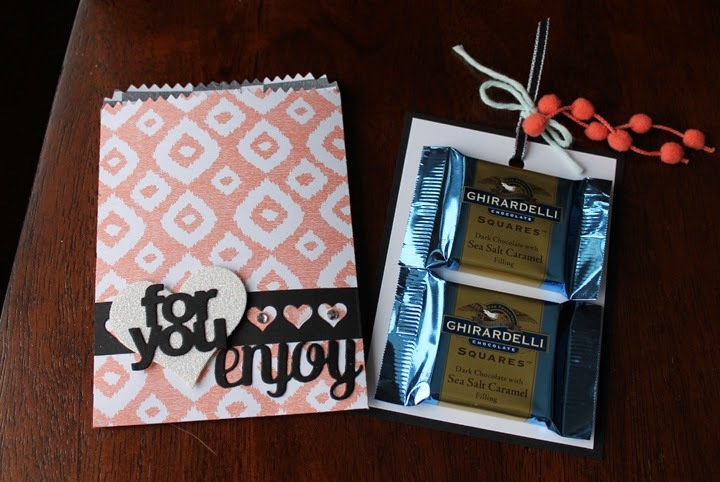 Mini Treat Bag Thinlit by Stampin' Up! Good morning! Today I have a little peek at a new product to be released in the Occasions catalogue - the Mini Treat Bag Thinlits die. It creates these adorable bags for treats, notes or gift cards. Donna Wizniuk kindly gifted us with a sample at breakfast last week. Not only do you get the die for the bag but the 'for you', 'enjoy', the heart border, and several other shapes are also included in this set of thinlits. Here's a peek at the inside! This thinlit will be available to order January 6th. If you haven't received a copy of the Occasions 2015 catalogue, and don't already have a demonstrator, let me know and I'd be happy to send you a copy.